According to recent research 70% of all business owners who implemented an SEO strategy believed that their bottom line improved. While 80% of all customers begin any purchasing process with a search engine. That being said, multiple business owners nowadays are concerned that SEO may be dead, they are unsure if SEO should be integrated in their businesses online DNA. Although many techniques and strategies which were once used are no longer applicable, however there will always be some form of SEO marketing that you can take advantage of. 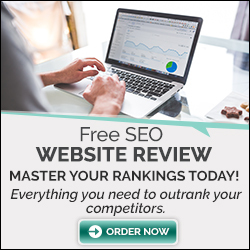 It was only a few years back when it was widely believed that search engine optimization was considered to be specialized knowledge with which you manipulated search engines rankings with intelligence and covert tactics. Fortunately nowadays there is more maturity in the industry of SEO and among SERPS. We are now living in a Semantic ERA, only last October was it announced by Google that they will be releasing Rank Brain. Rank Brain is an artificial intelligence system which uses a semantic-deciphering Hummingbird update, this is done to have a better understanding of users as well as queries that can be quite complicated, in the end the result provided is more appropriate. There is a lot more sophistication with Google now, intent as opposed to keywords is the term used to analyze queries. This is vital when you think of how many words or phrases have different meanings or different interpretations – such as feeling down versus a direction. Most queries are returned with search results that contain extra, relevant information like price ranges, reviews, maps, etc. On top of that, updates to favour sites that contain high quality content are launched by Google. As time goes by, the sites that offer the best user experiences began beating out other sites. That trend will continue as Google is very much focused on quality results and the algorithms look for relevance. Content is beginning to be indexed in new ways and on new platforms. Google recently signed a deal with Twitter to not only index but also display tweets as relevant search content. There are also social media platforms such as Facebook who are hard at work introduce their very own search options for their consumers. Yes they did begin as search engines and are still used for that purpose. That being said, they are now also used as consumer facing data oriented projects as well. This means that SEO is now very dynamic, it is a very multifaceted and its an online marketing must have for every online marketer expert. However, is that all that is needed for an effective SEO strategy to be implemented? The right optimization does not only mean more traffic or better rankings, it also means more visibility and a user experience that is better in every aspect, not only for search results, but also for the website. This means that there is increased credibility, trust and equity which leads to conversion rates that are higher. 64% of all visits to a website come from organic traffic. This is why it is crucial that if you want consumers who actively search for the products you offer to find you, your business and products have to achieve first page rankings. According to Google, around half of the consumers who did a local search from their mobile devices paid the store a visit that very same day. These same searches also saw an increases in sales: 18% of all local mobile searches ended in a sale within a day’s time. Consumers trust search engines. Those who search mentally make notes of the rankings for the searches the entered into Google as well as other search engines. If you rank highly in a search result, searches are led to believe that you are a key player in you niche. High rankings are indicators that you are credible and trustworthy. The State of Marketing report in 2015 stated that around 70% of companies who use SEO and SEM in their marketing strategies found that it was very effective. On top of that, there have been empirical studies which show that a landing page which has been SEO optimized lead to CPCs (cost per clicks) which are lower in paid campaigns, this is because the user experience is better. Also most searches do not even pay attention to results which have been paid for. In conclusion, there is no question that SEO has evolved and changed. Things that may have worked in the past, would no longer work nowadays. That being said, it still is a key element to online presence and marketing. It is better said that SEO has evolved into a tool for marketing which balances not only the quantitative but also the qualitative characteristics of online presence for a company.